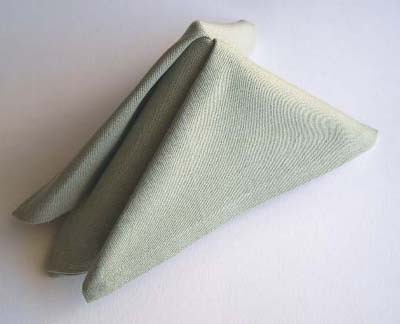 Folding of cloth napkins is meant to be just for decorative purposes at the dinner table. It does have some things in common with origami so we're including a few examples here. 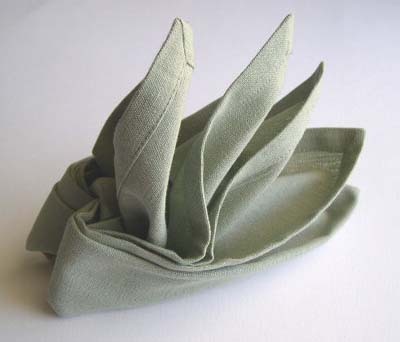 Looking at the origin of the word origami, we see that gami is derived from kami which means paper. 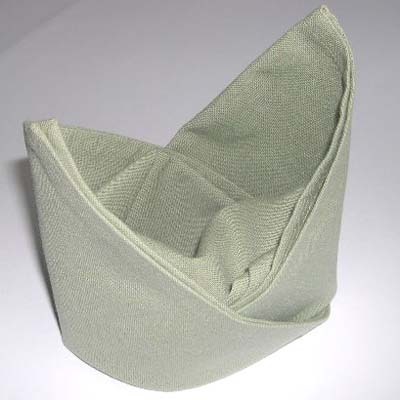 Napkin folding uses cloth napkins instead of paper, so we could call it ori-napkin. That's a little awkward, so we'll stick with napkin origami, or just napkin folding.